The Sultan’s Palace in Agrabah will be shutting its doors for good in late August 2019. The announcement comes in conjunction with the news that Mary Poppins The Musical is to return to the West End, taking over the reins from Aladdin at the Prince Edward Theatre. 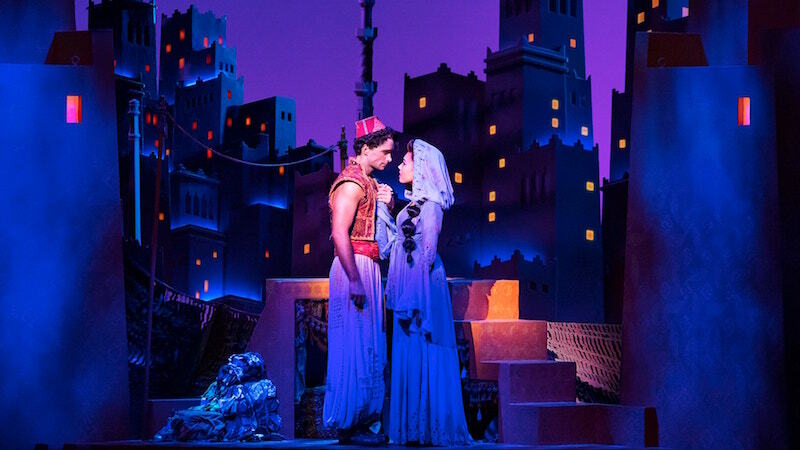 Disney’s Aladdin opened at the Prince Edward Theatre in June 2016 and has receiving nothing but rave reviews from critics and audiences alike. With it’s lavish set design, special effects and magnificent performances, for many, there is nothing that Aladdin does wrong. The original London cast of Aladdin were Dean John-Wilson, Jade Ewen and Trevor Dion Nicholas as Aladdin, Jasmine, and the Genie respectively. Currently, Aladdin is played by Matthew Croke while Michael James Scott is temporarily playing the Genie over the summer. If you have not yet experienced an Arabian night, or an Arabian day for you matinee lovers, then the sand in the hourglass is running out! Stay one jump ahead of the breadline and book your tickets to Aladdin now while there's still time! Purchase your Aladdin tickets here.